The opening of a newly refurbished community centre in east London has been made possible thanks to a generous personal donation from Sharon Kaur, Trustee of the Sahara Care Charitable Trust. The Terence Brown Arc in the Park, named after the Trusts’ chairman, was opened in front of a crowd of more than one hundred people, who turned out to celebrate this landmark event. Run by newly formed community charity Ambition, Aspire, Achieve (AAA) and located in Hermit Road Recreational Ground in Canning Town, the centre has been set up to provide new opportunities and sustained positive outcomes for local disabled and disadvantaged youngsters. 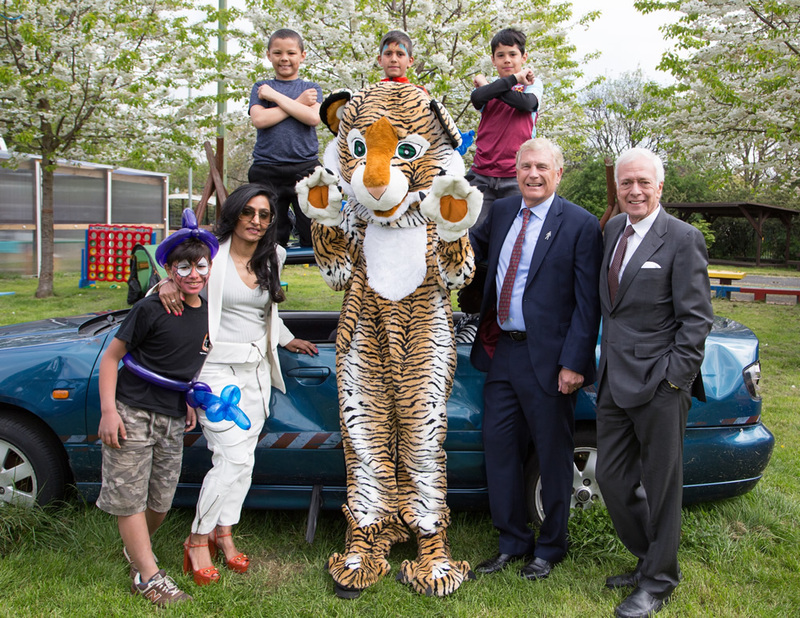 The opening of the centre was made possible thanks to a donation of £36,000 from Sharon Kaur, while one of football’s legends, Sir Trevor Brooking, attended the grand opening to officially open the centre’s doors. Terence’s brother Ken Brown also attended, along with West Ham shareholders and local businessmen David Sullivan and David Gold, who made an additional donation of £12,000 to the centre on the day, which included a further £5,000 from the Sahara Care Charitable Trust. On the day those who attended enjoyed an Easter egg hunt, balloon animals, face painting, ice cream and refreshments, as well as a chance to tour the centre and meet Sir Trevor. Reflecting on the day’s events and the donation, Terence said: “I am truly honoured to have had this centre named after me. When I started the trust many years ago with my late wife Jean, the aim was to help youngsters get a better start in life. AAA chose to name the new centre in honour of the Trust’s Chairman, Terence Brown for all of the work he has, and continues to do within the local community and charities. Sharon Kaur, Managing Director of Sahara Care, the leading care group behind the Trust, added: “Everybody had a wonderful day at the opening and we were completely blow away by the number of people who turned up to see the centre opened and renamed.